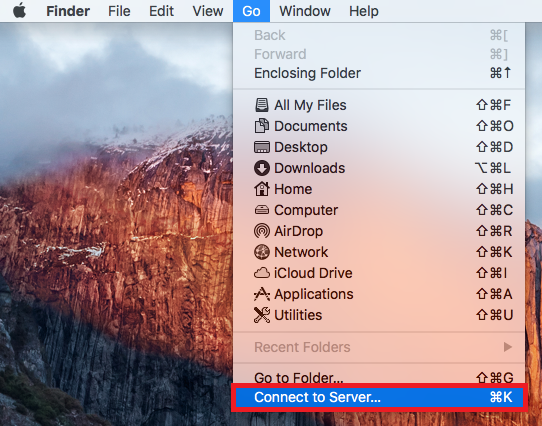 Follow the steps below to access UCA network drives (pool drives and personal home drive) on Mac computers. NOTE: At this time, you cannot access UCA network drives while using a wireless connection. Before proceeding, make sure your Mac has a wired connection. In Finder, click Go, and then choose Connect to Server from the drop-down menu. 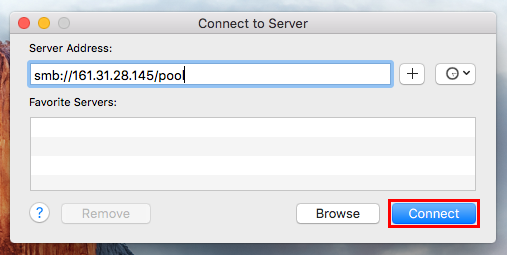 Pool Drives: Enter the server address smb://161.31.28.145/pool, and then click Connect. Home Drive: Enter the server address smb://161.31.28.145/fshome/[your username] (leave out the brackets), and then click Connect. 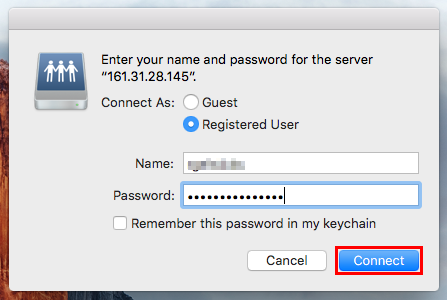 Enter your UCA username and password, and then click Connect. NOTE: Do not select the check box Remember this password in my keychain. Because your UCA password must be changed every 90 days, any saved passwords will become outdated.